Market Connections would like to congratulate our current and past clients: Booz Allen Hamilton, IBM Global Business Services, Leidos, Microsoft, AT&T and the U.S. Department of Education for their recognition as top innovators and selection as finalists for ACT-IAC’s 2018 Igniting Innovation Awards. “We are proud to see companies so familiar to Market Connections on this list,” says Aaron Heffron, Market Connections president. “Our relationships with these organizations have taught us why it is important to be a leader and innovator for whatever market you’re in. These companies set high standards for themselves and it is no surprise that they are being recognized for the programs they provide in support of the public sector.”On Friday, May 11, ACT-IAC will announce the winners at the 2018 Igniting Innovation Conference, their annual event highlighting top innovators and innovations that improve services to citizens and government operations. 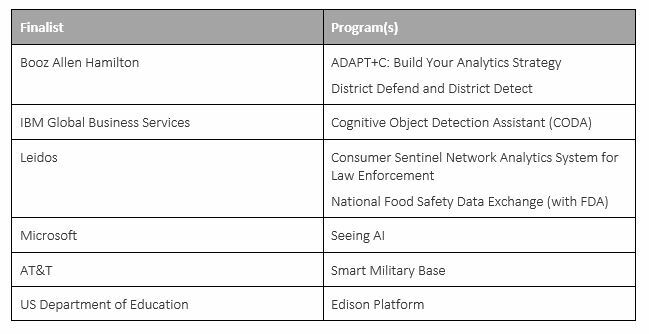 Visit ACT-IAC’s event site to see more finalist program details, the full list of finalists and for more information on the conference.